Times may have changed and women may be more emancipated than ever, but they still like to let the guys do most of the work when it comes to flirting. Sometimes, however, their flirting can be so subtle – or guys may be so thick – that it’s almost imperceptible. Could it be that she’s flirting with you and you don’t even realize it? From her very subtle body language moves to the way she responds to your comments or the way she tries to get some alone time with you, these are the signs that should tell you that she’s interested in you. She tilts her head. If she tilts her head to one side as you talk; flipping her hair, for example, it might be a sign she’s into you. Our neck is one of the most vulnerable parts of our body and also one of the greatest erogenous zones. So, her willingness to expose this part so openly means that she is, perhaps unwittingly, trying to lure you. If it’s accompanied with direct eye-gazing too, we’re kind of wondering why you haven’t made your move yet. She walks by you multiple times. If you are standing at the bar and you have already seen her pass by you more than once or twice, you should start wondering if she is trying to draw your attention so that you will make the first move. You’ve got her undivided attention. 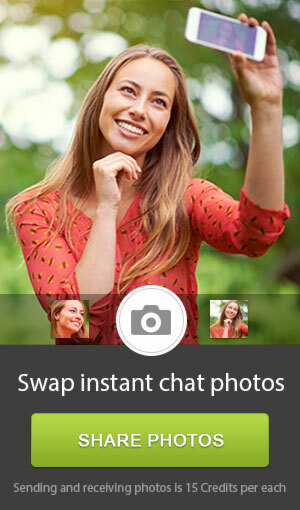 In the event you are already talking to her, check out how willing she is to continue the conversation. A good idea is to ask simple questions that could be answered in a few words and see if she elaborates further than necessary. If you are with a bunch of people and crack a joke to find her laughing her heart out even when it’s not that hilarious, it could also be a sign she is interested in you and is eager for you to know it. She’s got that goofy smile. The endorphins our body produces when we’re happy and/or in love make us smile from ear to ear. If she can’t seem to wipe that smile from her face as you talk to each other, it may be that she really, really likes you. She draws attention to her lips. A woman’s mouth is one of the sexiest things on her, so if you see her touching her lips, biting them, or playing with the straw as she sips her drink, it is most probably a sign she likes what she sees and wants you to notice her too. She’s eyeing you. One of the least subtle ways to tell she’s flirting with you is when she can’t take her eyes off of you. A piercing look can be felt from right across the room, so if the look is coming from her direction, look back and see what happens. These are just some of the ways to tell she’s flirting with you, of course. Every woman is different and her flirting ways can be a lot more forward or even more subtle, but by and large, you should not neglect these signs – especially if you are also drawn to her. Did you find this article enlightening? Hope we helped you recognize flirting signs more easily. 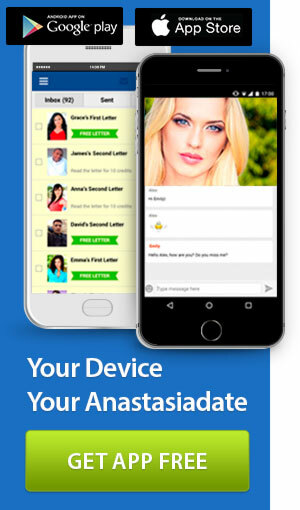 If you’re in the mood to flirt, why not visit AnastasiaDate for the chance to meet some of the most beautiful Eastern European ladies today? If you wish to continue reading articles on dating and relationships, click here. The social media fans among you can also follow us on Facebook and Twitter. Previous PostAll The Ingredients Needed For A Perfect Mystery TripNext PostShould You Be More Vulnerable On A Date?